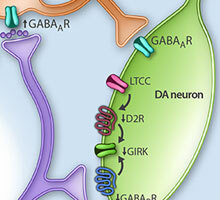 Synaptic and intrinsic plasticity in the ventral tegmental area after chronic cocaine. Cocaine drives persistent changes in synaptic transmission and ventral tegmental area dopamine neuron activity. Francis et al. reviews how these alterations contribute to cocaine addiction and highlight therapeutic avenues for future treatment. 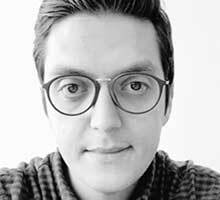 The winner of the 2019 European Behavioral Pharmacology Society’s Young Investigator Award is Marco Venniro, Ph.d., for his research examining the influence of social cues on behaviors related to drug addiction which was recently published in Nature Neuroscience. Marco is a CCB Postdoctoral Fellow in the lab of Dr Yavin Shaham, Ph.D. 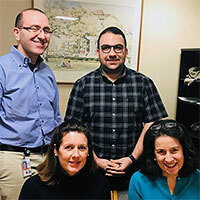 Prior to this award, Marco has also been the recipient of a Fellows Award for Research Excellence from the NIH as well as a travel award from EBPS. Congratulations Marco! The GABA-B receptor agonist baclofen has been investigated and used as a treatment for alcohol use disorder, but data from clinical studies remain inconsistent. Additional research is needed to understand the biobehavioral mechanisms underlying baclofen’s effect in relation to alcohol use. Genetic deletion of vesicular glutamate transporter in dopamine neurons increases vulnerability to MPTP-induced neurotoxicity in mice. 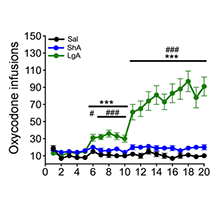 Deletion of the type 2 metabotropic glutamate receptor increases heroin abuse vulnerability in transgenic rats.